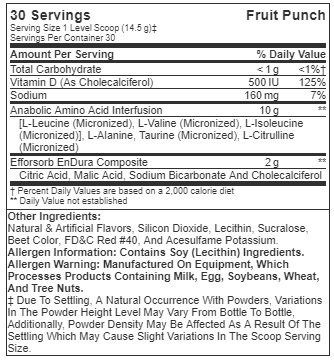 Directions For AMINOx: As a dietary supplement, mix 1 level scoop with 6-8 oz. of cold water or any beverage of your choice before, during or after your workout. For best results consume at least 2 servings per day. To maximize the effects of AMINOx™ consume 120 oz. of water per day and a diet that is rich in protein and carbohydrates. Your body chemistry and weight will determine how long it takes to experience the effect of AMINOx™. AMINOx™ begins to induce its maximum effects in weeks 3-12. After 12 weeks of use, discontinue for at least 4 weeks. Before consuming AMINOx™ seek advice from a physician if you are unaware of your current health condition or have any pre-existing medical or if you are taking an MAO inhibitor or any other medication. Do not use if you are contemplating pregnancy, pregnant, nursing, prone to dehydration, or exposed to excessive heat. Reduce or discontinue use if sleeplessness, tremors, dizziness, nervousness, headaches, or heart palpitations occur. 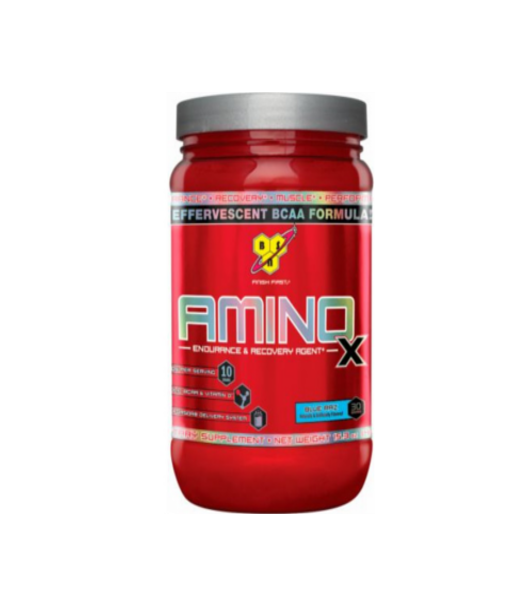 AMINOx™ is only intended for use by healthy adults 18 years of age or older. Keep out of reach of children and pets. Store in a cool dry place away from direct sunlight. Consumer is responsible for ensuring that his/her use of this product complies with the rules and regulations of all governing bodies or other entities having jurisdiction over any sport or athletic activity in which he/she participates as well as any career regulations. User assumes all risks, liabilities, and consequences related to any and all non-compliance issues that may arise by these entities.